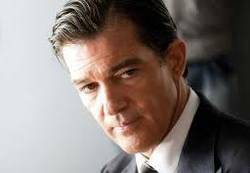 Banderas: You break it like Chavez did in his time. You say, ‘the topic is over. I’m taking all these corporations and nationalizing them.’ Where is there any other exit? In a time when we have to stand up, a post-democratic era, because really, you listen to Obama during his first campaign for legislature, even his second, and you think– people were saying, ‘this is going to change.’ And I said ‘no, no, no, because he is going to encounter reality.’ And he faced the reality of the markets. This entry was posted in Economy Economics and tagged corporate rule, hugo chavez, reclamation, wealth redistribution. Bookmark the permalink.